The Financial Times says the French President is working punishingly hard, and that's problematic for his government, and his employees. Emmanuel Macron, the young, energetic politician elected to France’s Presidency in 2017, may be suffering from burnout, according to reports from Paris in the Financial Times. His reported approach to his work — spectacularly impressive but very detail-oriented and controlling — is being referred to by Elysee insiders as unsustainable, according to Financial Times Paris Bureau Chief Anne-Sylvaine Chassany. And it may be creating a toxic work environment for those around Macron, too: Irvin Schonfeld, Ph.D., M.P.H., a professor of psychology at the CUNY Graduate Center who researches burnout, explains that the conditions that minimize (or maximize) burnout come from the top. President Macron’s approach to governing and the grueling workload that goes along with it have elicited comment in the past by Chassany. Macron “sleeps four hours a night,” Chassany reports. His lifestyle sounds reminiscent of the similarly punishing approach taken by Elon Musk, who recently spoke to the New York Times about the toll it has taken on his life, company and family. Work style has the potential to negatively affect work quality. Chassany wrote this week that the whispers of burnout around Macron have insiders deeply concerned, especially considering that Macron’s micro-managing affects so much of what happens in French government: “Any dysfunction at the top would reverberate throughout the government and Parliament,” Chassany explains. If Macron isn’t functioning well, France could suffer, too. There’s even more to the problem of Macron’s reported approach to work: “The combination of a heavy workload and little discretion at how you discharge your duty is very toxic,” Schonfeld explains. Reports indicate that those working with Macron, like their leader, put in punishing hours, but work without the “trust and discretion” Schonfeld emphasizes is so important. 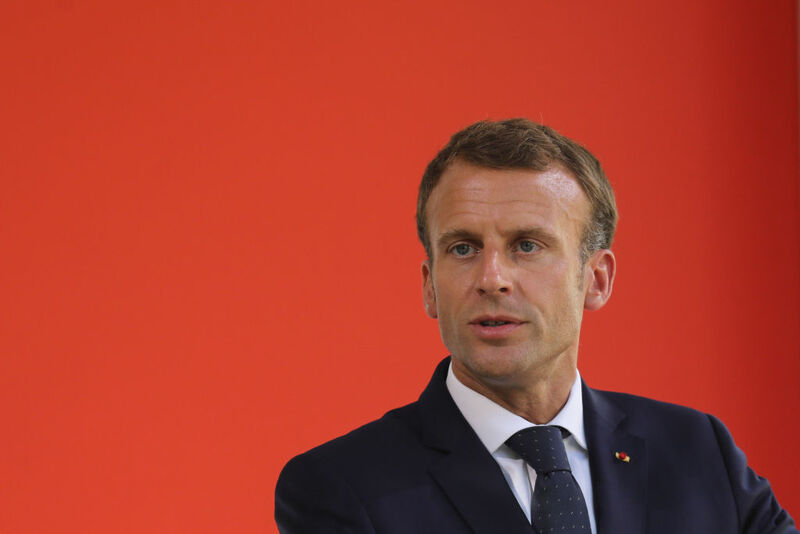 Chassany describes Macron’s advisers as “short-staffed and sleep-deprived.” As a result, his approach to governing could be creating more instances of burnout throughout the administration. To his credit, Macron did take a few days off to go to Normandy last week, and hopefully some time away from work helped him rest and reassess what’s best for him, his team, and his government. Research shows that workplace culture can be heavily influenced by leaders (like Macron or Musk), and that matters a lot when it comes to employee burnout, Schonfeld says. If this kind of high-stress, very busy work environment feels familiar to you, consider some of these workplace characteristics to suss out whether your office might be fostering conditions of burnout. Is your workload reasonable? Is what’s expected of you unduly burdensome? Schonfeld highlights the paperwork demanded of doctors as an example of one place where expectations often exceed bandwidth, resulting in burnout. While it’s reasonable to accept some incompletions, you shouldn’t feel every day that your most important core responsibilities take more hours than you have. Your effort should be taken into account, along with your actual workload, in assessing your work life. If the effort combined with the workload creates a burden that you can’t reasonably shoulder, your environment is likely a “depressogenic” one that is predisposing you to burnout, Schonfeld says. Rewards might mean salary, but they can also mean things like expressions of thanks or feelings of satisfaction, Schonfeld explains. Those rewards should be in balance with the dual weight of workload and effort. If they’re not, you are at a great risk of burnout. If you (like Macron) are in a position of leadership, consider expressing greater appreciation to your employees, and better managing their workloads. And even if you aren’t in a position to change your workplace policies or expectations, understanding that your environment is creating burnout conditions can be an important realization. If you do recognize these signs of burnout, you’ve taken the first step towards recovery: research published in the journal Work & Stress found that the process of moving forward from burnout starts with admitting the problem, followed by the stages of “distancing from work, restoring health, questioning values, exploring work possibilities and making objective changes,” the study authors write. Recognizing the problem creates the conditions necessary to move forward.